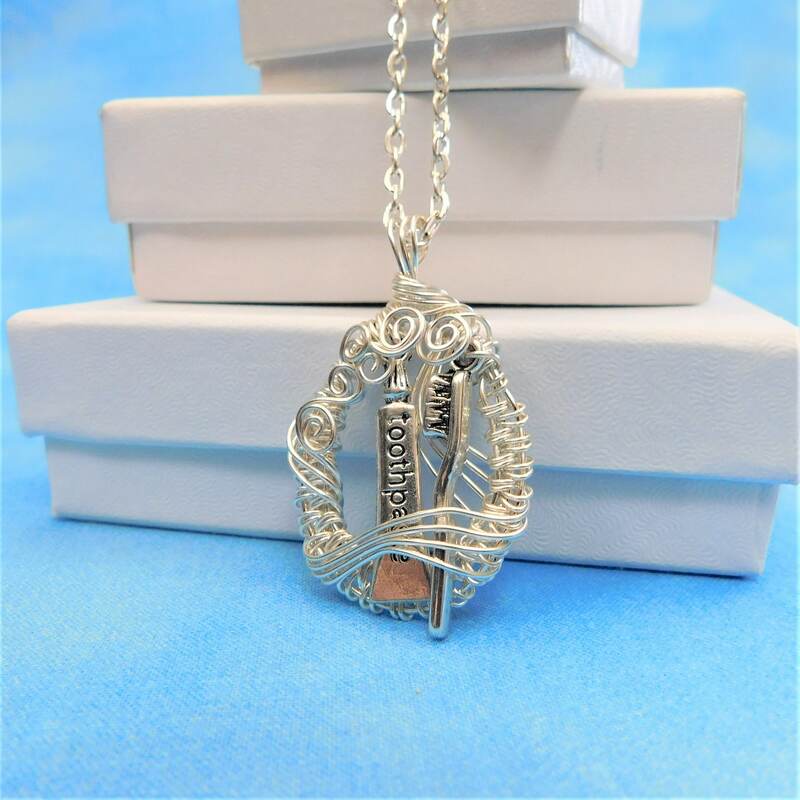 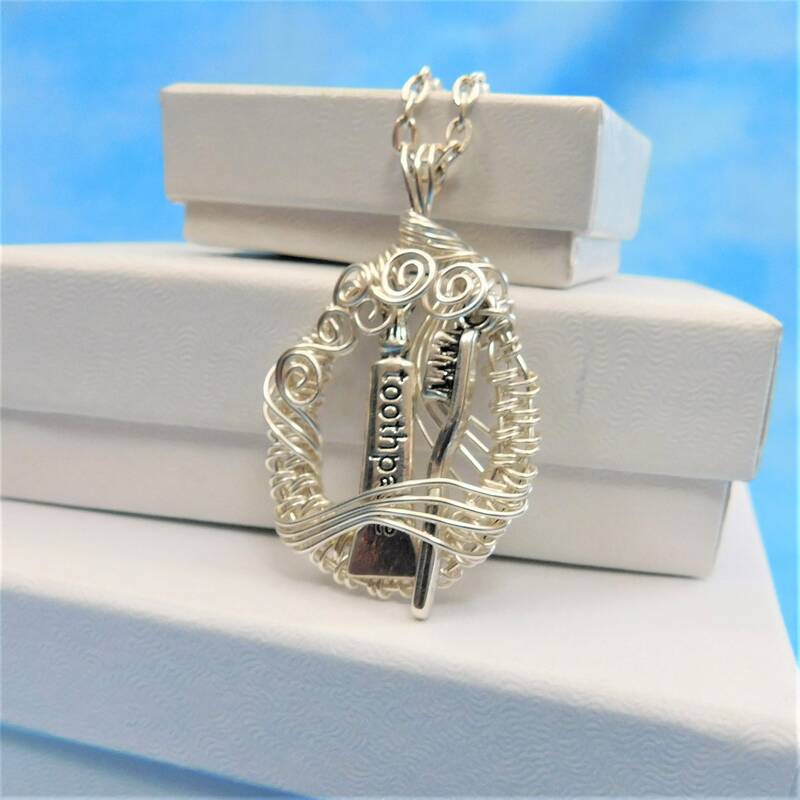 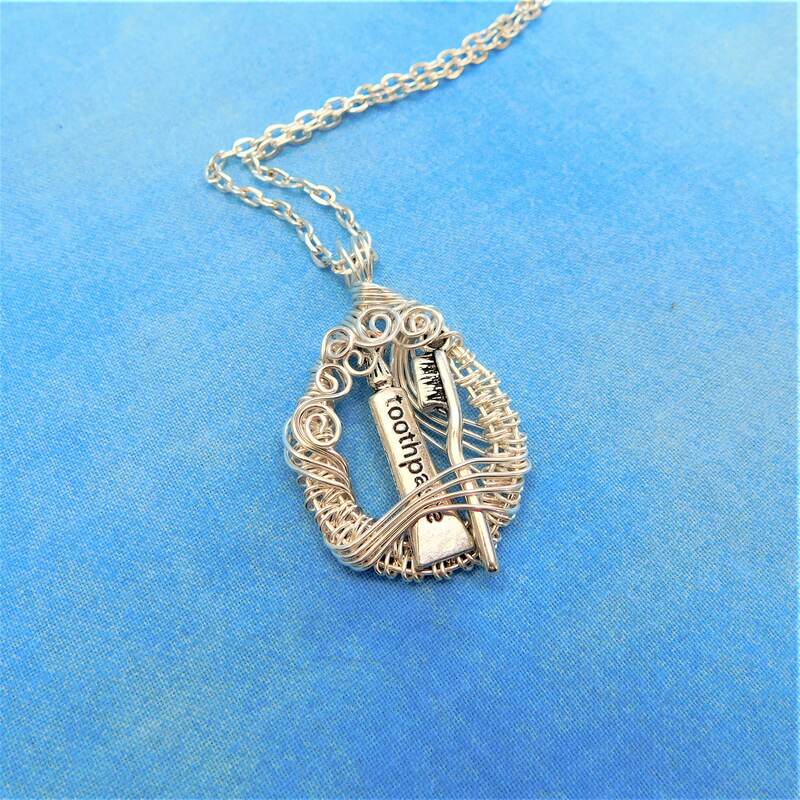 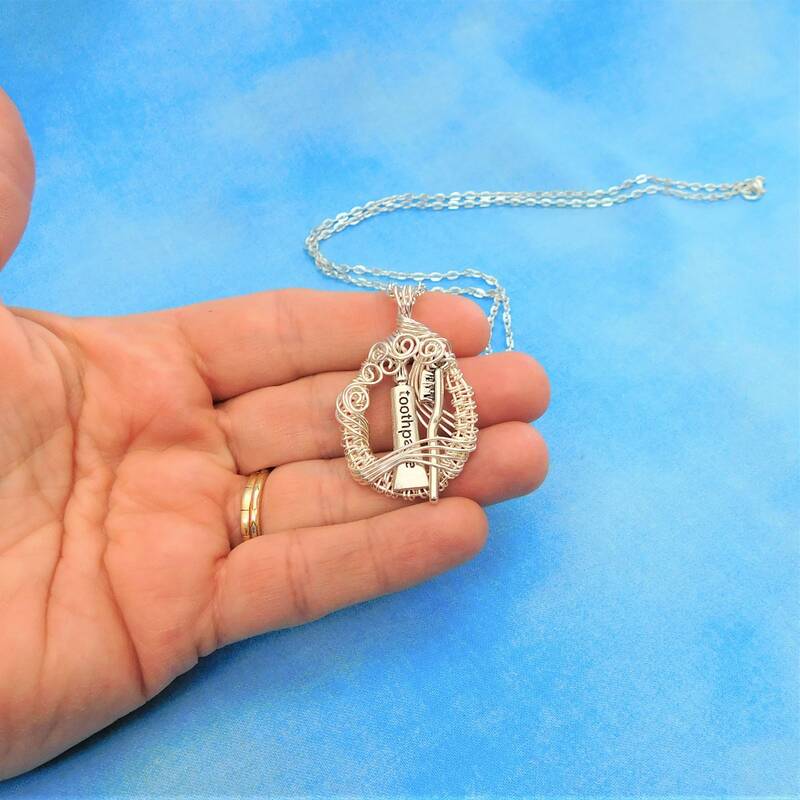 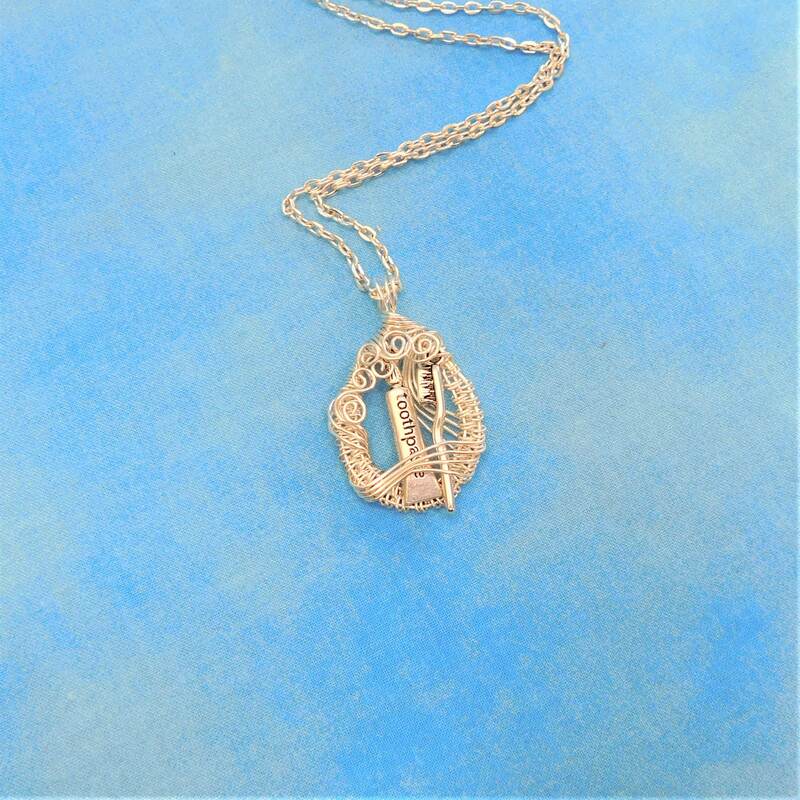 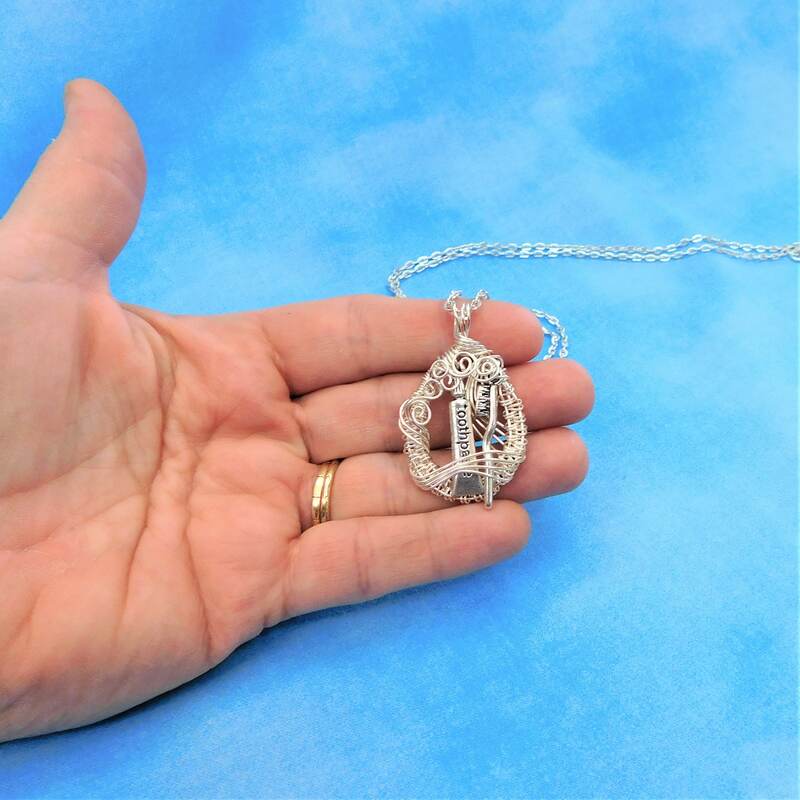 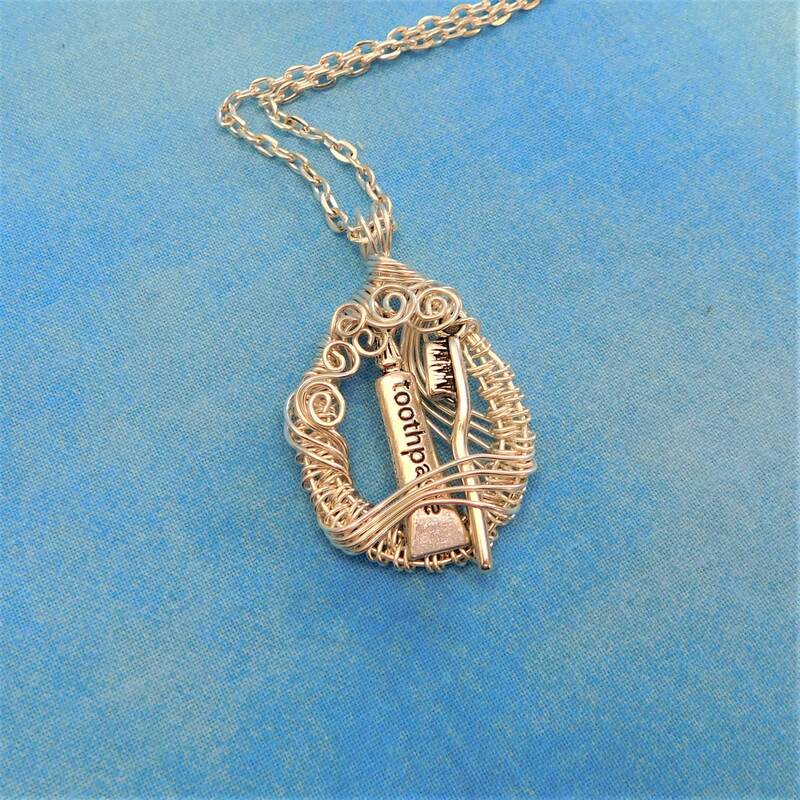 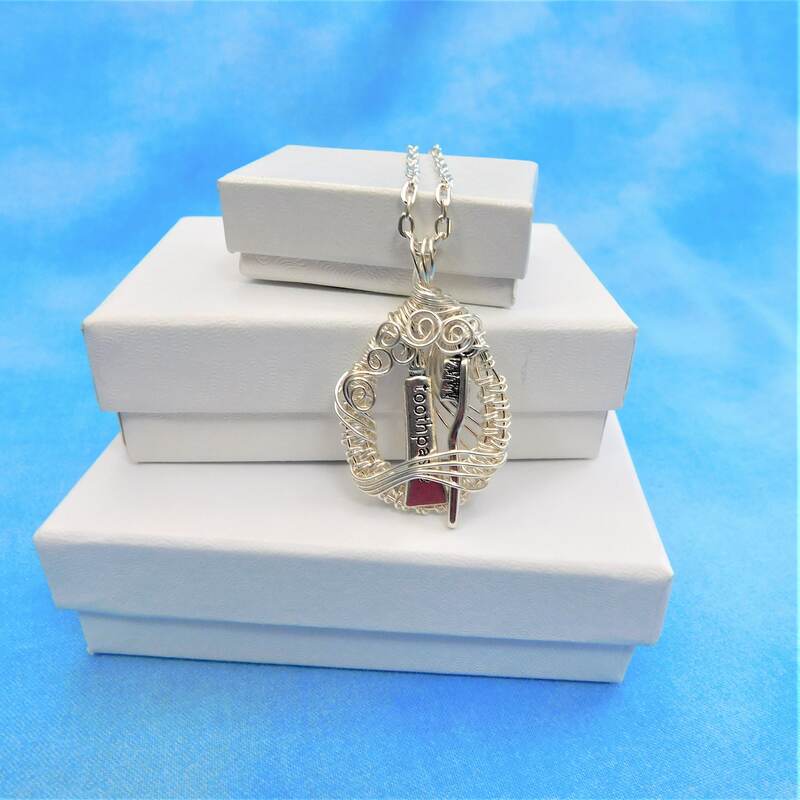 A tiny silver toothbrush and tube of toothpaste are artistically framed in hand woven fine silver over copper wire, creating a 1 1/4 inch by 1 inch pendant. 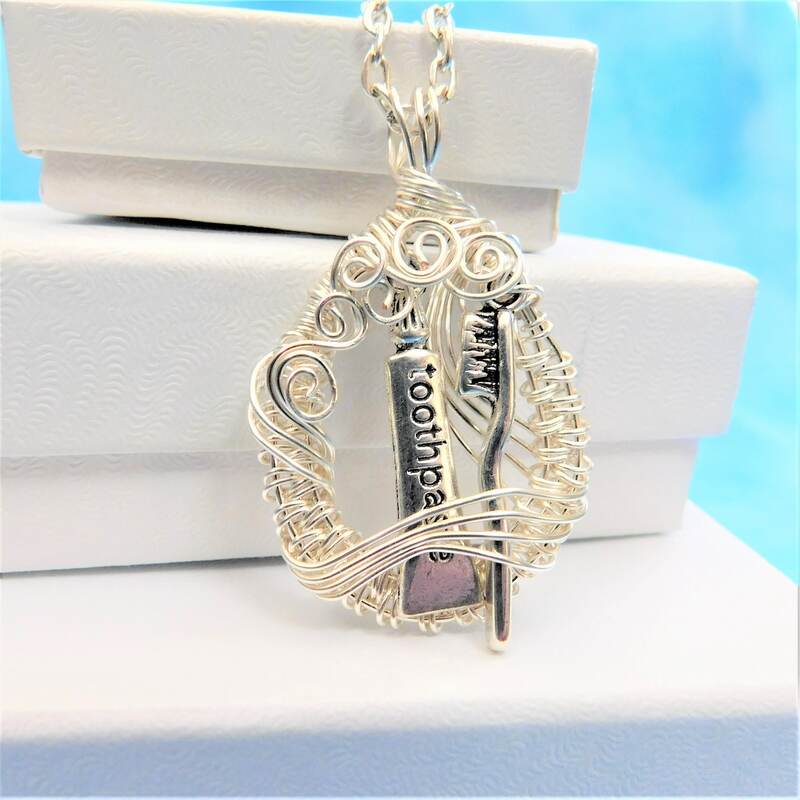 The simple symbols of the dental field would be an interesting and fun addition to the uniform of a dentist, dental assistant or hygienist. 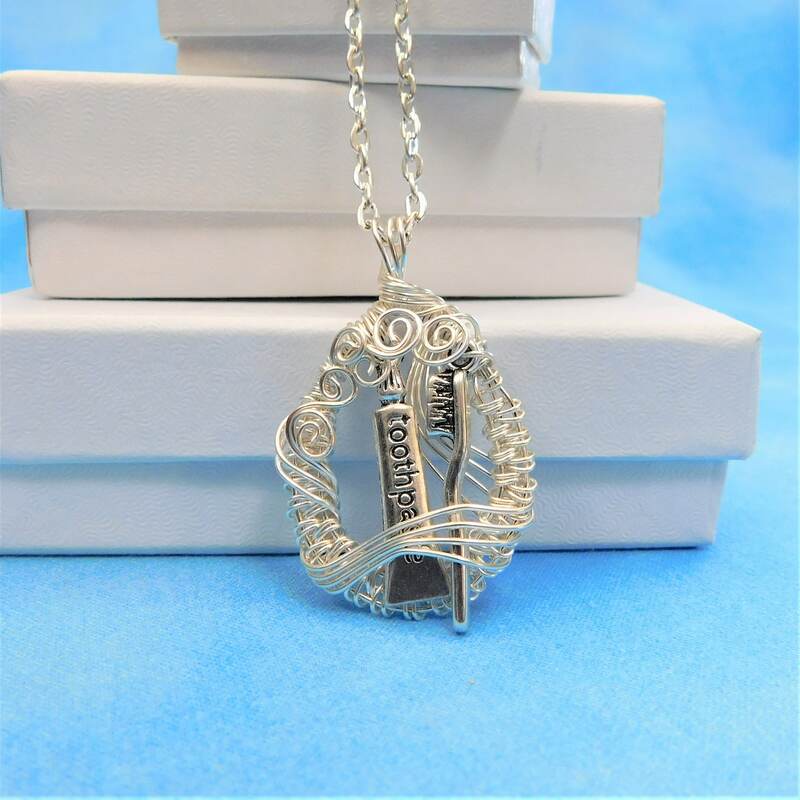 Certainly a perfectly fitting and thoughtful gift.